LOCATION Ringley Oak is located within a small, well maintained development, just over a mile from Horsham town centre and both Horsham and Littlehaven stations. It is also within walking distance of the Co-operative store and Tesco Express, while major road networks such as the A264, A24 and junction 11 on the M23 are also only a short distance from the property. PROPERTY This spacious first floor maisonette is brought to the market in excellent decorative order. You enter the flat via the recently updated and light entrance hall, with doors opening to all rooms, including the main feature of this property, the 15’11 x 14’1 Lounge/Diner. The Kitchen is fitted with a range of modern units, with space for all your appliances. 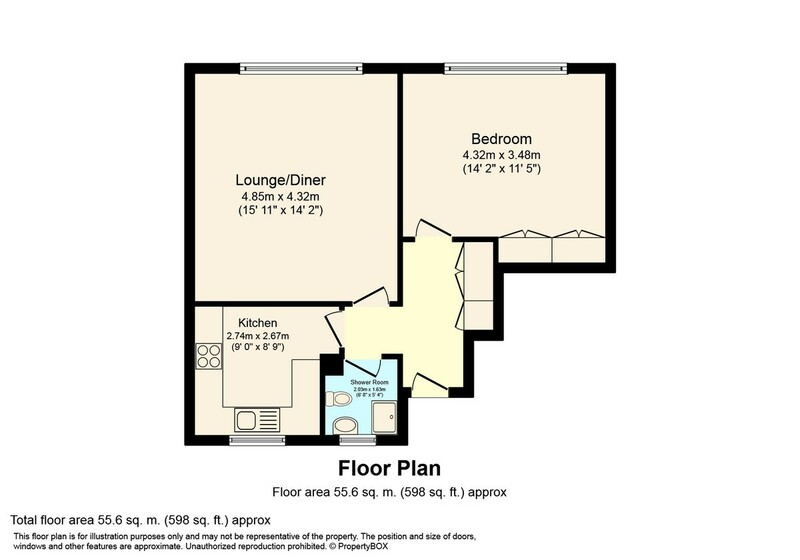 The large double bedroom is an excellent 14’2 x 11’5, with built in wardrobes, and there is a bathroom, with a window and a walk in shower. The property further benefits from excellent storage, UPVc double glazing throughout, and a lease in excess of 950 years. OUTSIDE The property sits in well-kept communal gardens, with a large central lawn. The property boasts an allocated parking space, as well as a number of visitors bays.